A special project for Tunisia. 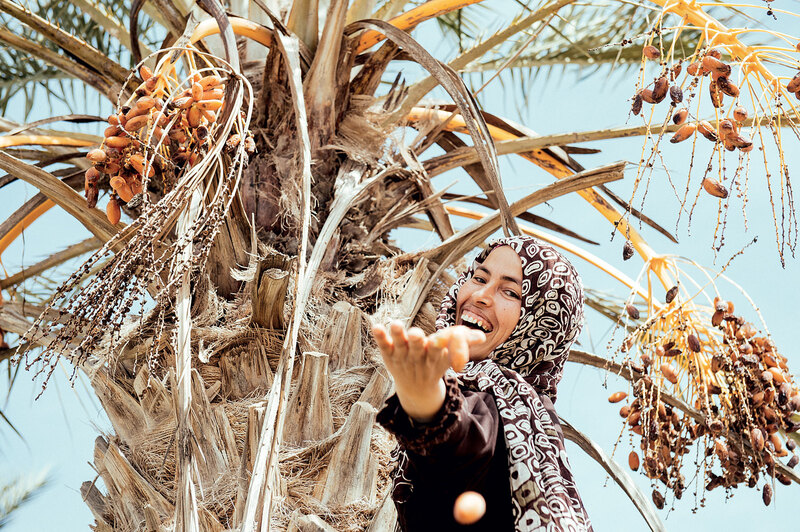 An initiative to provide water and infrastructure in one of the most arid area of Tunisia, the Governorate of Kebili, support agriculture, a sustainable water management, and, ultimately, life. This ambitous project is promoted by Cnh Industrial and its global brand of agricultural machines, New Holland Agriculture, in the framework of a cooperation agreement endorsed by Fao. It aims at several objectives: to build and repair traditional water collection systems, to set up vegetable gardens for families, to improve the pastures, create orchards and new woodlands and to guarantee a fully sustainable water management. Elisabetta Illy’s photographic reportage is featured in this context. Cnh Industrial’s project is narrated meticulously through an extended photographic reportage made by Elisabetta Lattanzio Illy: a real and engaging testimony of the current situation and the step by step implementation of the project. A journalist and a photographer, Elisabetta Lattanzio Illy works on illustrating an irrefutable and evocative reality through images. The high impact photo series, previewed in a Bruxelles exhibit, emphasize the importance of the project toward the affected populations and documents the ongoing positive changes. The reportage shows how, even if Africa’s industry is growing in many sectors, two third of the sub-Saharan population still live in an unstable environment. The situation can get worse: according to the United Nations demographic forecasts, by 2035 Africa will have doubled its population, reaching over two billion residents. The Sahara Desert. 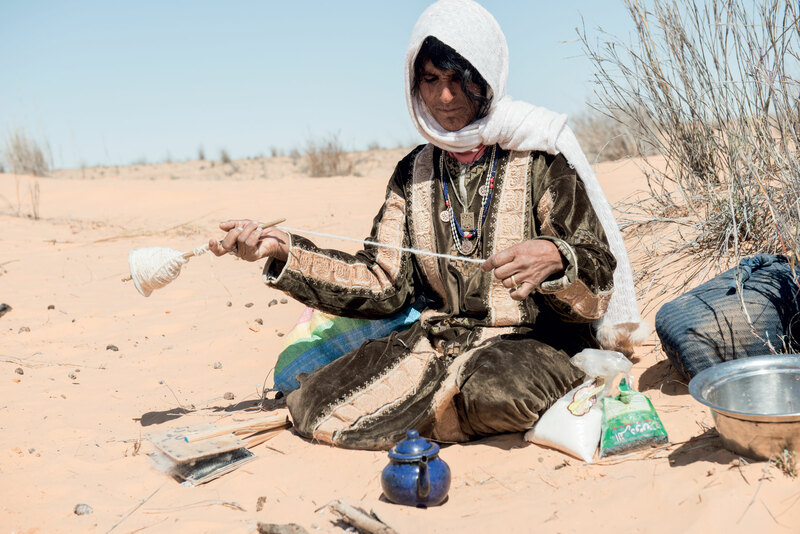 A Tuareg nomad woman gets ready to spin her loom. Tea is offered as a welcome sign, and sipped three times: the first sip is as bitter as life, the second is as sweet as love, the third is agreeable as death. It’s enjoyed under the burning sun and beneath the stars at night. It takes time, but time doesn’t run out in the desert because life is inextricably linked to the rhythm of the earth. The Sahara Desert. 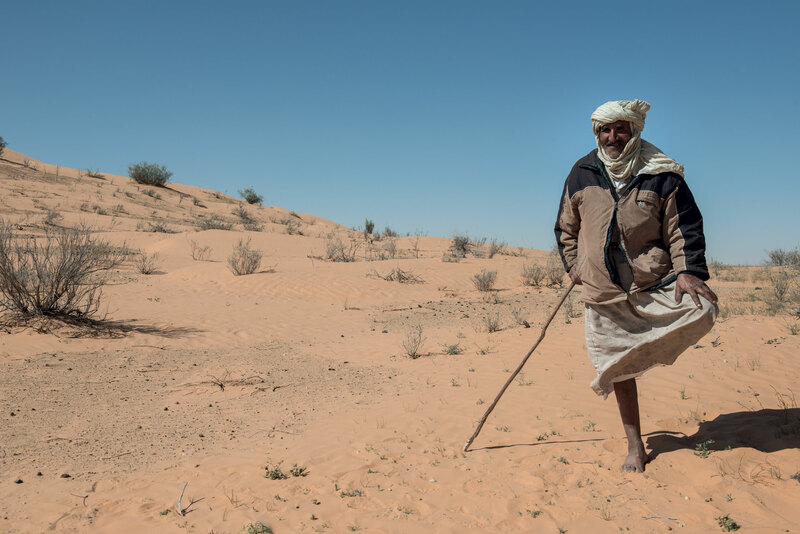 A Tuareg nomad shepherd in his traditional resting pose on one leg. 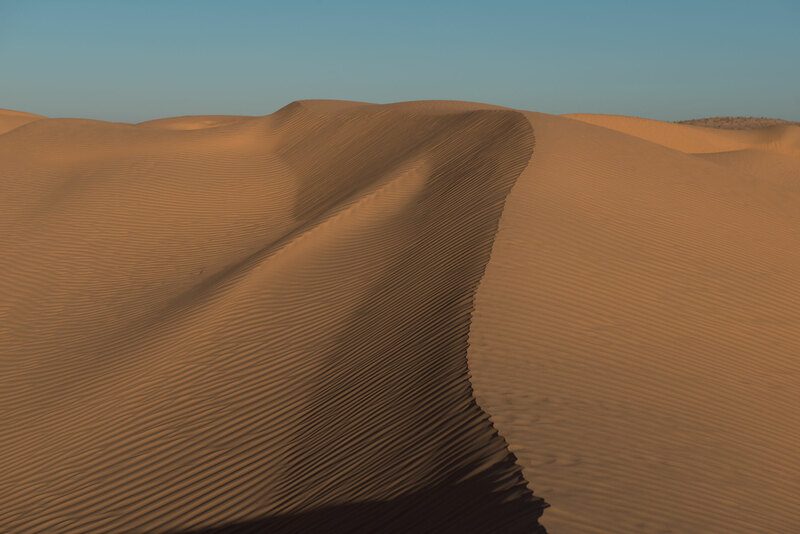 Nine million km² stretching approximately 1600 km from North to South and 5000 km from East to West, these are the dimensions of Sahara, the largest desert! Living in the emptiness, in isolation, where dignity and silence instill rigorous respect. Kebili, Douz. The market. 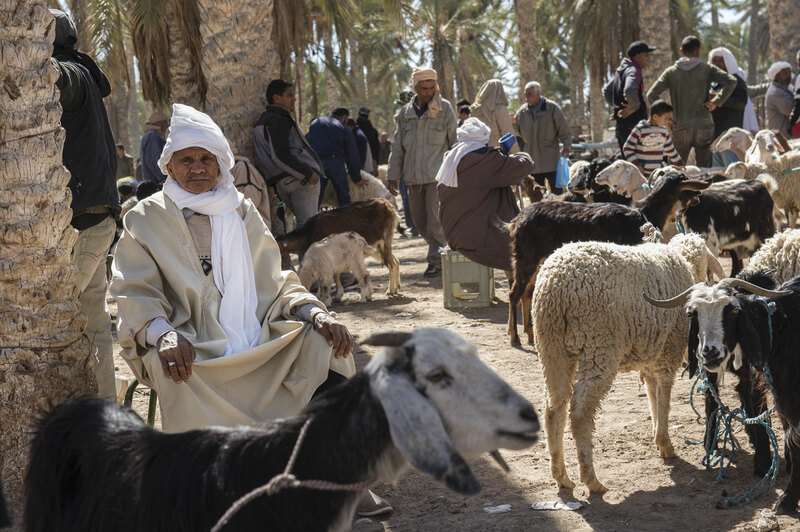 The market of Douz takes life in an oasis of over five hundred thousand palms, surrounded by the Sahara. The silence of the desert is broken as soon as the market’s square is reached, where everything comes alive with a concentration of traditions and customs, overlapping voices and vivacious colors. 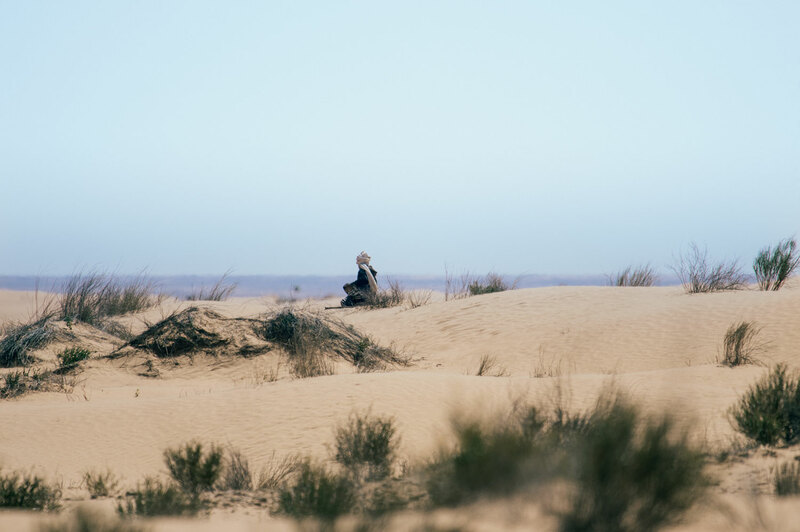 Endless bargaining<br /> and chanting go along with the sale of mules and dromedaries, but, as the day ends, all goes back to place, and the oasis is silent again waiting for the next visit from the mysterious inhabitants of the desert. This city is known as the door to the Sahara, and it has been an important stop-over in caravan routes. The Sahara Desert. 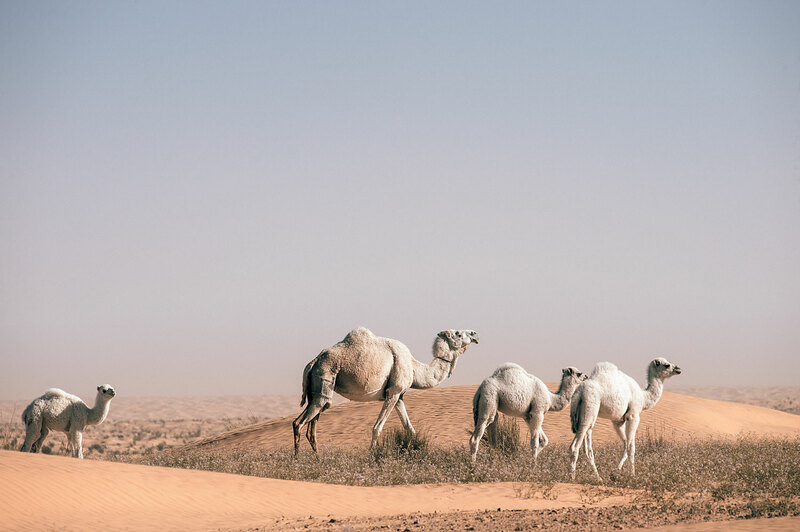 Dromedaries are used in transportation due to their outstanding performance in the desert. They can carry up to 200 kg a day for 40/50 km or carry a person for eight consecutive hours at the velocity of 20 km per hour. They consume very little: they can resist eight consecutive days without water, but at their “pit stop” can drink up to 100 liters of water – even if salty – in just ten minutes. 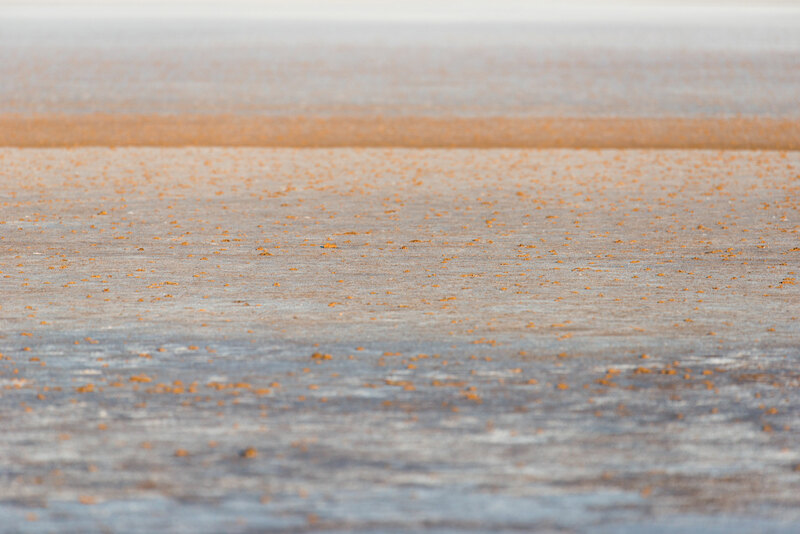 Chott el Jerid, the Big Salted Lake. 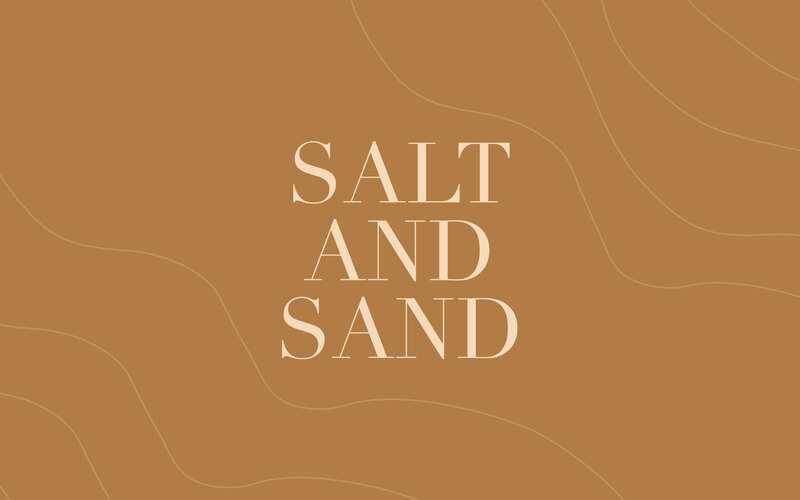 A surface of over 5000 km² of crystal salts spread out over a sand and clay bottom. A changing landscape with the appeal of a woman that changes appearance along with the seasons. Unfortunately, it is easier to create a desert then a forest. The Sahara Desert. During the day, dry branches are picked up to cook the bread. A mixture of flour and water is worked finely to create a wide and flat shape, then buried to bake under the scorching sand. 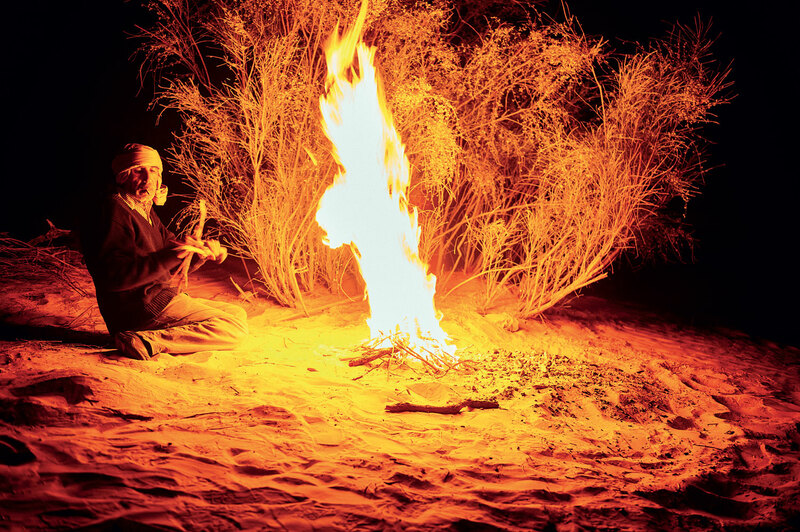 Soon after, a fragrant smell invades the emptiness, while the fire creates lively shadows, elusive shapes that will disappear at sunrise, in the brightness of the desert. The Sahara Desert. A Tuareg woman gently hides her smile. The Tuareg women are the queens of the Sahara. They keep their face unveiled to show their beauty. They can marry and divorce as they see fit and are the keepers of the most precious possessions of their tribe. Appearance is very important to Tuareg people, and women always carry themselves with elegance and poise. Little princes of the sands open their eyes on a new way of life, looking toward progress while fighting to keep their roots. 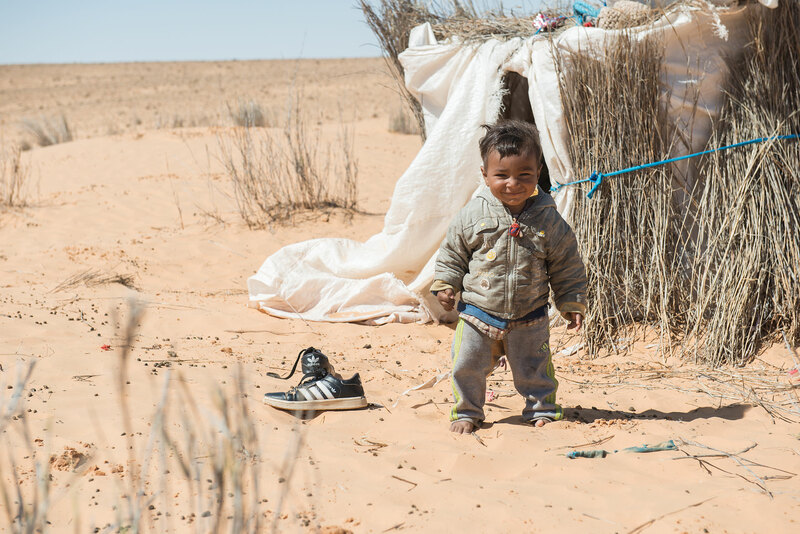 Since childhood, Tuareg learn to memorize the names of the valleys and the wells of their own regions. 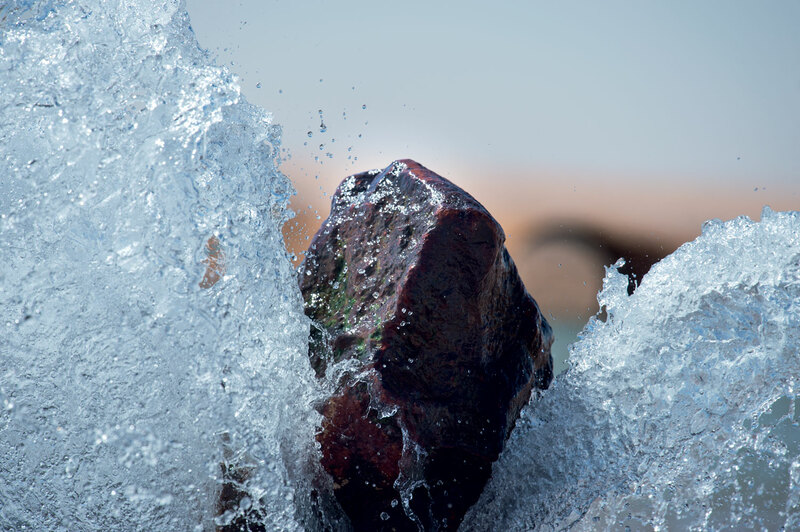 A well, in a context of a nomad society in constant movement, is a symbol of stability. Tézezgret is “the way that brings to the well”, an indispensable path that connects living things to life. Animals, vegetables and human beings all meet on the road that leads to water. The Tuareg society is based on family. Targhia, the Tuareg woman, has a crucial place for nomad tribes. The mother is the home, the central figure where the community develops arounds. She does strenuous work and manages the campsite during the long absences of her husband while he travels in caravan. She is the custodian of the culture by passing on the music, poetry and oral education to her kids. God created the lands and lakes and rivers so that the man could live in it. The desert so he could find his soul. Tuareg Proverb. In the desert, words have no weight.